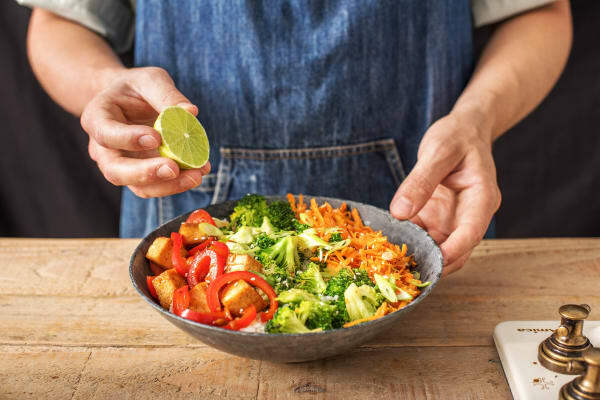 A victory for vegetarian cooking, our nourishing Korean rice bowl is everything veggie food should deliver: great flavours and vibrant, fresh ingredients. 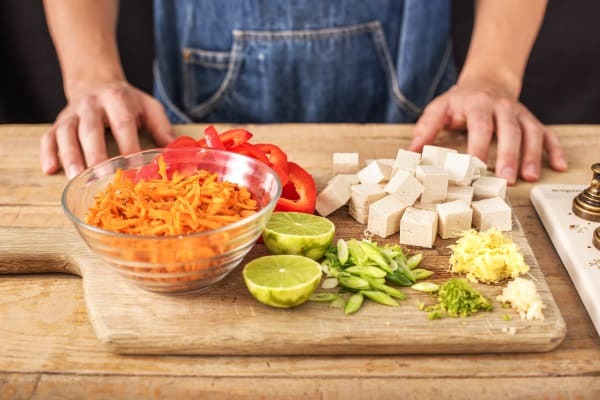 When stir-frying tofu, a fail-safe tip for perfectly crispy cubes is draining the tofu before you add it to your pan or wok, squeezing out as much of the moisture as possible without breaking it. Make sure you keep your pan nice and hot and move the ingredients round the pan quickly, so they don’t burn. 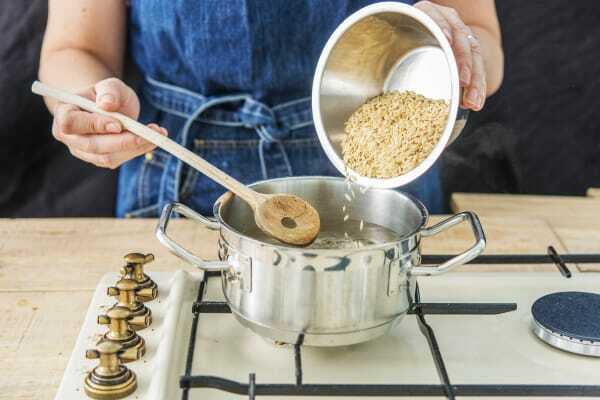 Bring a large saucepan of water with a pinch of salt to the boil for the rice. Bash the lemongrass with the bottom of a saucepan to release its flavour. When boiling stir in the brown rice and lemongrass into the pan and cook for 25 mins. TIP: Add more water if it starts to evaporate too much. When cooked, drain the rice thoroughly in a sieve and return to the saucepan, off the heat, with the lid on. Drain the tofu and chop into 2cm cubes. Dry the tofu well on kitchen paper. Trim the carrot and coarsely grate (no need to peel). Pop into a bowl. Halve the pepper and discard the core and seeds. Slice into thin strips. Trim the spring onion and thinly slice. Peel and grate the ginger. Peel and grate the garlic (or use a garlic press). Zest then halve the lime. Heat a splash of oil in a frying pan over high heat. 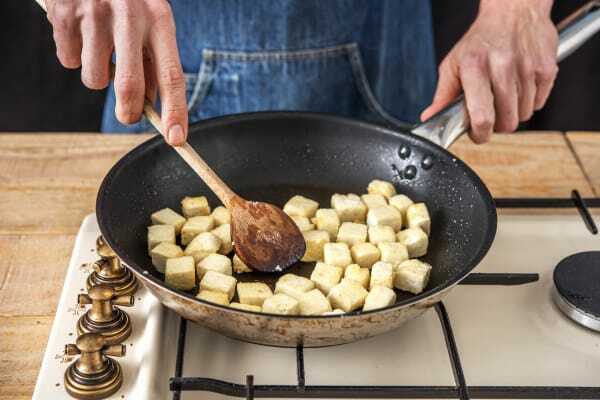 When the oil is hot, carefully add the tofu to the pan.Stir-fry until golden, taking care not to break it, 4-5 mins. When golden, lower the heat slightly, add the pepper and cook stirring occasionally until softened, another 5 mins. Add a drizzle more oil if necessary. Transfer to a plate, we will reheat it later. Wipe out the pan with kitchen paper. Meanwhile, in a small bowl, mix the sriracha with the rice vinegar, ginger, garlic and half the soy sauce. Keep to one side. In the bowl containing the grated carrot, add a squeeze of lime juice and a pinch of lime zest and mix together. Set aside. 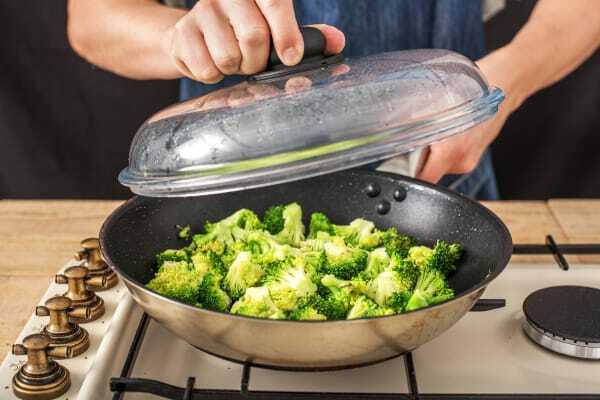 Reheat the now empty frying pan on high heat with a splash of oil. Add the broccoli florets and stir-fry for 2 mins. Add a good splash of water and cover with a tight fitting lid or foil. Lower the heat and cook until the broccoli is tender, 2-3 mins. Transfer to a plate, cover with foil and wipe out any excess water from the pan. Return the tofu and peppers to the pan and add the spicy sauce. Stir and heat until piping hot, 1-2 mins. Remove the lemongrass from the rice and discard. Fluff up the rice with a fork. 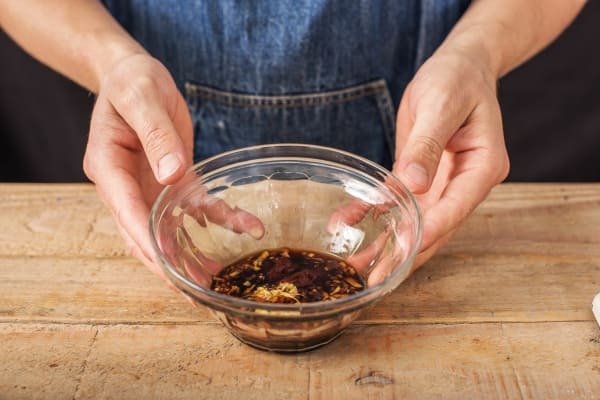 Share between your bowls and drizzle on the remaining soy sauce. 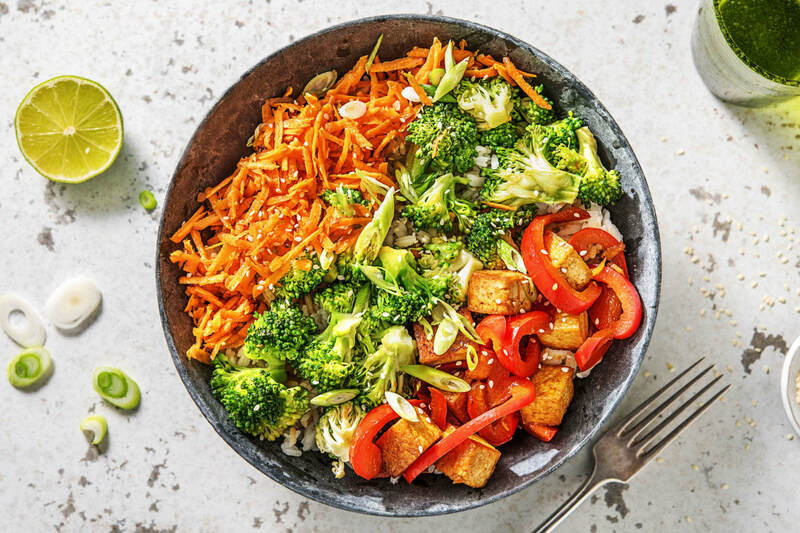 Cover one-third of the rice with the carrot salad, another with the broccoli and the final third with the sticky, spicy tofu. Finish with a sprinkling of spring onion and remaining lime zest and a squeeze of lime juice. Enjoy!